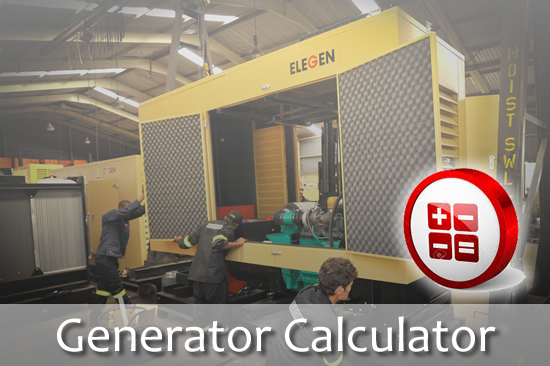 ELEGEN is one of Africa's leading OEM manufacturers and suppliers of generators. We have a range of generators in stock at all times. 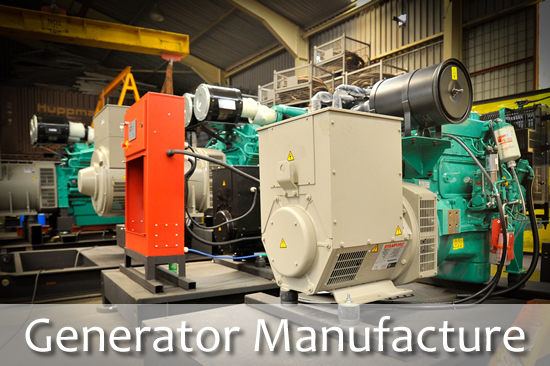 We manufacture custom generators in conjuction with leading brands including Cummins, Perkins, Volvo Penta and Doosan ranging from 5kVA to 20MVA. We also have a range of generators available for hire up to 220kVA with trailer and light-in tower options. We have a large number of generators in stock at all times, and we can deliver the generators you need quickly and efficiently by our first-rate installation team. 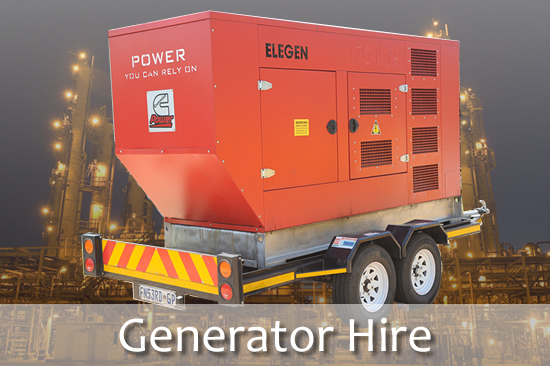 With years of experience in all aspects of generators, Elegen's team of expert technicians can offer advice and guidance on any of our generators for sale or hire. An open set or a weather-proof powder-coated canopy. All switch gear supplied is SABS approved. We supply from single to three phase. Our generator sizes range from 28kVA to 3MVA. Available voltages range from 400V and 525V. 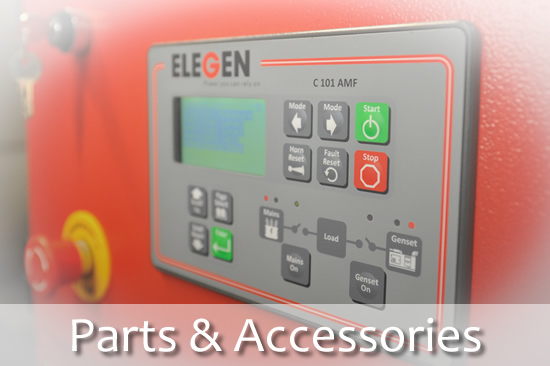 All generators are supplied standard with base tank, mains breaker, AMF controller and exhaust system. All canopies are ISO9000 certified. Units available are silent or super-silent. Contact our experienced sales team to discuss your custom generator options.